Marshall, Gerstein & Borun LLP is a proud sponsor of the 2011 National LGBT Bar Association Lavender Law® Conference and Career Fair to be held on September 8–10, 2011. As part of the conference’s programming, the Firm is also a sponsor of the Affiliate Congress Lunch and Meeting, at which representatives of the National LGBT Bar Association’s affiliates will discuss topics such as new benefits, representation on the Association’s Board of Directors, and requirements for tax-exempt status. Jeremy D. Protas will represent Marshall Gerstein at various programs throughout the Conference, including onsite at the Firm’s Career Fair booth, at the National LGBT Bar Association Board of Directors meeting, and at the Affiliate Congress. He will also speak on a panel entitled, “What You Need To Know About IP Law: Transactions, Trademarks, Copyrights, Trade Secrets, Patents.” In a moderated discussion, Mr. Protas and panel members will give examples of cutting-edge IP issues and provide advice on preparing for a career in IP, career development as an IP professional, and emerging fields within the IP practice. 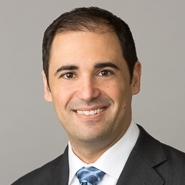 At Marshall Gerstein, Jeremy D. Protas prosecutes and secures patents in diverse technologies including process control, wireless communication, software development, and retail systems. In 2009, Mr. Protas founded the Jeremy D. Protas LGBT Patent Law Scholarship. The scholarship aims to raise awareness of patent law among lesbian, gay, bisexual, and transgender law students, in furtherance of the goal of increasing the number of LGBT lawyers in the patent law community.